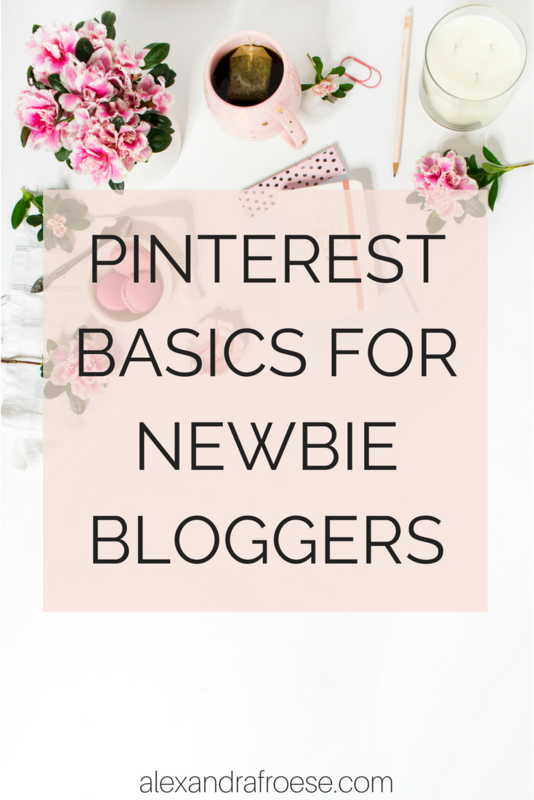 One of the things you're going to hear in the blogging world over and over again is that you need to be on Pinterest. Now I'm going to assume that you've probably heard of Pinterest unless you've spent your last few years à la Kimmy Schmidt in an underground bunker. But in case you haven't had a chance to get intimately acquainted with this wonderful tool, I've prepared this handy guide to coach you through the basics. "Pinterest is a visual bookmarking tool that helps you discover and save creative ideas." Pinterest is kind of a weird blend of social media and search engine. It's not 'technically' a social media platform, but it's not "just" a search engine either! You can "follow" other Pinners like on social media platforms, but it runs on keywords and SEO (Search Engine Optimization) to expand your reach like Google. It's more than just a place to find creative school lunch ideas to outdo the other moms - Pinterest can help your business grow its traffic, increase your income, grow your email list, and expand your community. You get the added benefit of using pretty images to draw people into your content, AND instead of it just being you promoting your stuff - other people will pin (promote) your content for you - FOR FREE! 2) What Do All These Words Mean? There are a few terms that are specific to Pinterest and can get confusing if you don't know what's being discussed. Pins are the items you share. They consist of a picture and description and link back to an outside source - an app, a buyable item, an article, or a recipe. Some pins may look different than others; those are called Rich Pins. Rich Pins are basically turbo-charged pins. They offer more information than other pins, in the form of a bolded title and a specialized description based on the type of pin it is. Making sure Rich Pins are enabled for your site is one of the most important things you can do for your blog or business. I explain how to do so here! Group boards are boards that are contributed to by more than one person. They are a great tool for growing your traffic. Most group boards require an invite or an application of sorts - but the individual rules will be explained by the board owner, usually in the board description. This one is pretty straightforward, but your profile is the "About You" page on Pinterest. It's where all your Pins and Boards are stored. It also houses your profile photo, an "About Me" blurb, and (hopefully) the link to your website. I explain in more detail how to fill out the Pinterest profile for your business in this post. The screen you're taken to after you log into Pinterest. It shows you what people you're following are pinning and Pins related to your searches or content. Promoted pins are paid ads on Pinterest, much like Facebook Ads. You can target certain locations, demographics, and devices and reach customers who are searching for or have shown an interest in what you have to offer. 3) What Will Pinterest Do for My Business? As of September, Pinterest has over 200 million monthly users. When you post something to social media, it's gone in such a short time. The average lifespan of a post on Facebook is about 3 hours - and that's if your followers even see your posts! On Twitter, it's as little as 18 minutes. Pinterest, however, is totally different. Better-ranking pins will show up at the top of your audience's feed, regardless of when they were pinned. Pinterest ranks pins like Google ranks websites - the better your pins rank, the higher they appear in the feed. Making sure your pins rank highly will drive traffic to your website over and over again - with little to no continued effort on your part! Make sure you check out my post on How To Rock Your Pinterest Profile to really get your account off and running!